The worst moments of any vacation are the waiting for taxis, dealing with prices and making sure everything is with you. 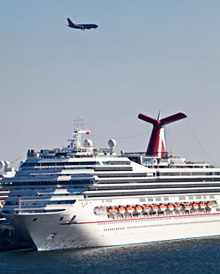 All Stars and Transportation provides airport and seaport transportation to and from all airports and ports in South Florida, including Fort Lauderdale Airport and Miami International. 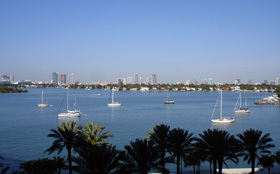 Pick-ups are available from Ft. Lauderdale Airport to Port-Everglades or Port of Miami. For your convenience All Stars Transportation offers pick-ups from business, private homes, as well hotels and resorts in the Broward and Dade County area. No job is too big or small at All Stars and Transportation. We will accommodate our customers with sedans, vans, mini-buses and buses. For special group rates please contact us at: Events: 954-226-7828. 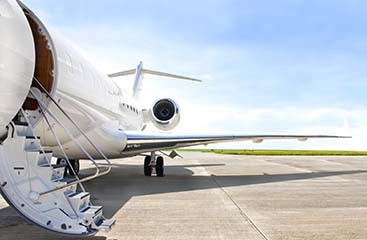 Making us your first choice is the best decision that a corporate travel planner can do. We will arrive on time… every time; greet you with a smile, take you safely from a simple transfer from one place to another or coordinate a series of stops to accommodate you corporate agenda. If you want the best, we are just a couple of clicks away. 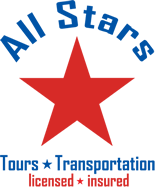 All Stars Tours & Transportation and our staff has put together enough information to order your tour in just minutes. We offer the least expensive tours without compromising quality. 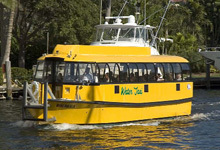 Providing South Florida Vacationers with Courteous and Professional Guided Daily Adventures and Evening Excursions. 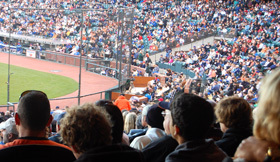 All Stars Tours & Transportation offers the most exciting tours, second to none. Enjoy the convenience of being picked up from your hotel or home with first class transportation and avoid the hassles of waiting in line and driving yourself. We have Florida tours from the East coast to the West coast. Enjoy a leisurely cruise along Fort Lauderdale’s world famous waterways which have earned the city the nickname, “The Venice of America.” Go to the beach, shop and dine on spectacular Las Olas Blvd, and see the cruise ships at Port Everglades. Not sure where to go? Our crew will happily help you plan your day as you float past many interesting sites from mansions to megayachts. Your ticket allows unlimited boardings from any our 13 stops throughout Fort Lauderdale! Highlight your visit to Florida with a guided tour to and through the Everglades – an ecological system like no other in the world. 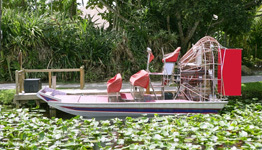 Take a ride on the Everglades’ most famous transportation – the airboat. Look for alligators, tropical birds, manatees, native flora and more. Education made fun! Nestled on the coast between Miami and Ft. Lauderdale, “City of the Future” Hollywood, FL was named October 1997 Money Magazine’s best representation of what an American city will look like in the year 2022. Racially and culturally diverse, the city hosts a population of both young and old living together in an atmosphere of complete harmony. A city whose average yearly temperature hovers around 80° Fahrenheit and is one of the fastest growing in South Florida, Hollywood is a “must visit” for anyone’s travel agenda. Take a walk on The Riverwalk-Florida’s most beautiful mile! Showcases lush tropical landscape and winding walkways linking downtown Fort Lauderdale’s attractions, restaurants and shops. Leave your mark on the Riverwalk with a personalized, engraved Signature Brick. Visit Los Olas Blvd -There can’t be many streets which can rival Las Olas Boulevard for dining out. Fine dining, casual, romantic – dine in splendid surroundings or in a cheerful, lively café. enjoy food prepared by celebrity chefs, enjoy the best in live entertainment or watch the world go by from one of the sidewalk cafés. It’s all here. 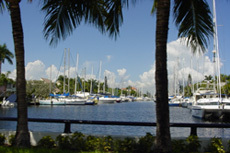 Experience Miami’s different neighborhoods. 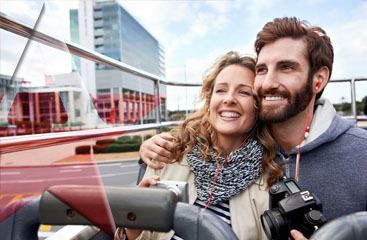 Select a sightseeing tour of the City. While the South Beach party scene cranks even higher, today the area is also transforming into a daytime vacation paradise. The forever-summer climate, beach and endless outdoor activities make daytime just as entertaining as the hours after the sun goes down. 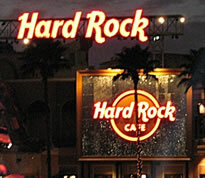 Enjoy South Beach fine dining and night clubs. Walt Disney World in Orlando, Florida is not just a theme park, but a huge resort complex covering 47 square miles. The resort contains four separate theme parks, three water parks and 99 holes of golf on several different courses. Miles of outdoor recreation are available including hiking, biking, boating and swimming. It has three separate areas containing shopping, dining and entertainment facilities as well as a fourth area with nightclubs. No other Disney resort comes close to the size and diversity of Disney World Florida. Remember, that only the resort in Orlando, Florida is referred to as Disney World or Walt Disney World. The other parks are usually called Disneyland. 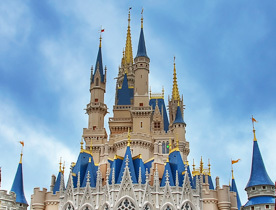 The size and diversity of the Disney World resort ensures that it will probably remain the number one vacation destination in the world for years to come. Discover Florida vacations that are truly uplifting at Kennedy Space Center. Florida vacations aren’t complete without a trip to Kennedy Space Center in Orlando. NASA’s launch headquarters is the only place on Earth where you can tour launch areas, meet an astronaut, see giant rockets, train in spaceflight simulators, and even view a launch. The fun of any event is all in how much you can immerse yourself in it. From the moment that we pick you up in a stretch limousine the fun starts and even better, when the events end, we’ll be waiting outside, because the game may be over, but the fun it is just about to start! At All Stars Transportation we are committed to providing our clients with the highest level of professional service. We also provide group packages please call for details. All Stars Transportation will provide all business travelers and company clients with fully equipped, late-model vehicles. 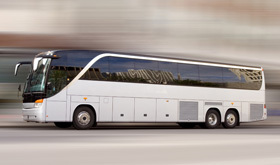 We will provide your company with 55 passenger buses, 28 passenger mini-buses, 14 passenger vans. Let us handle any size groups you may have. We have hourly rates and transfer rates for all business needs. All Stars Tours and Transportation service drivers are professionally trained to ensure that they are knowledgeable about safe traveling. People who want to relax during their travel will often hire a shuttle service to avoid dealing with traffic. You are assured prompt and reliable service from All Stars Tours and Transportation Service. Upon your arrival at your pick-up location, your chauffeur will assist you with your luggage and will drive you safely to your final destination. Renting cars and finding addresses take up much of your effort and time and can be more expensive. At All Stars Transportation, we will handle all your parties needs. You can charter our vehicles by the hour or a flat price. We will provide our clients with the highest level of professional service. We have many tours to choose from and our professional staff will arrange and book your tour to your satisfaction.